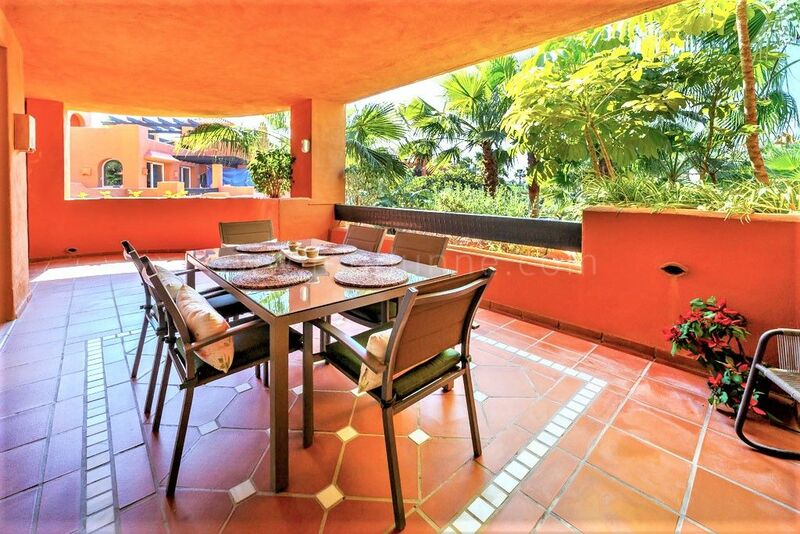 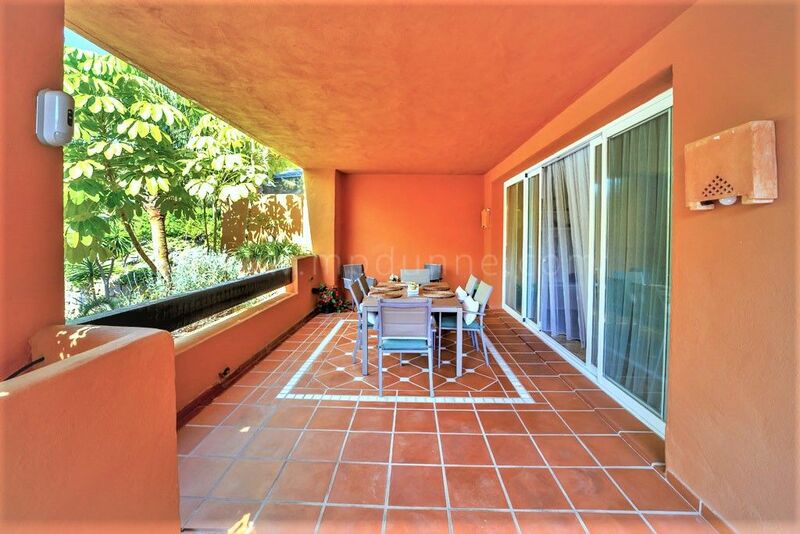 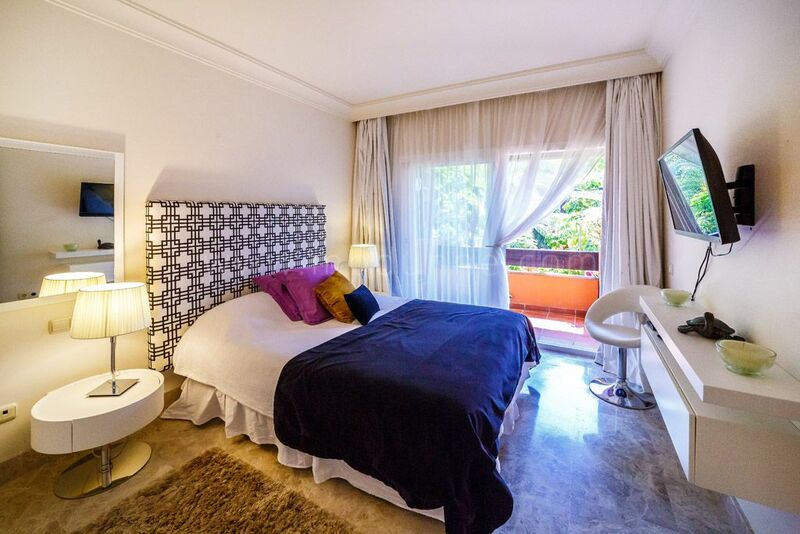 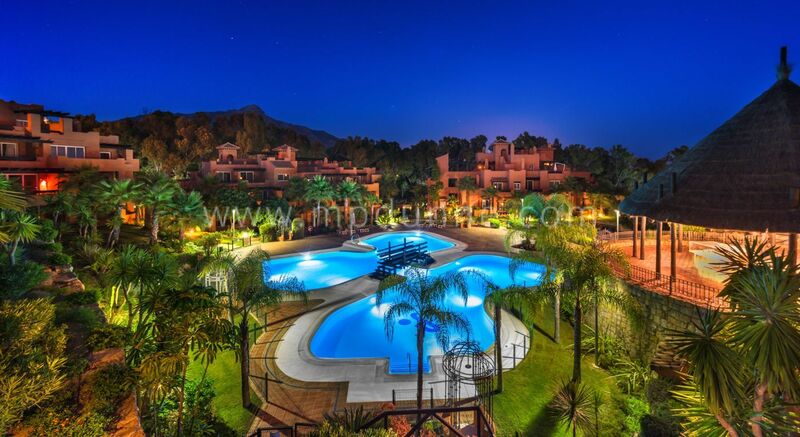 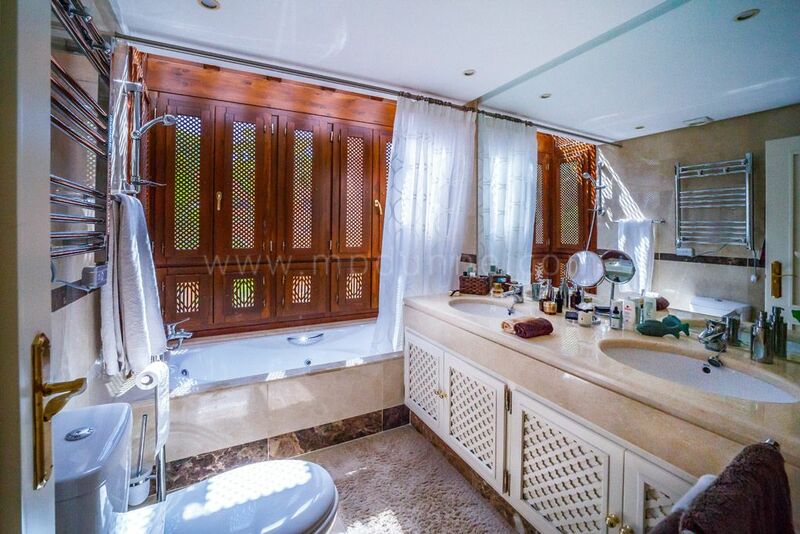 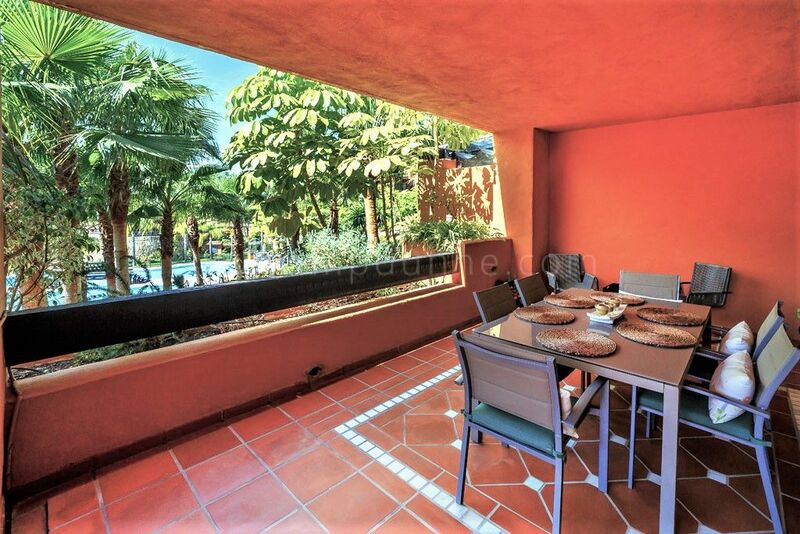 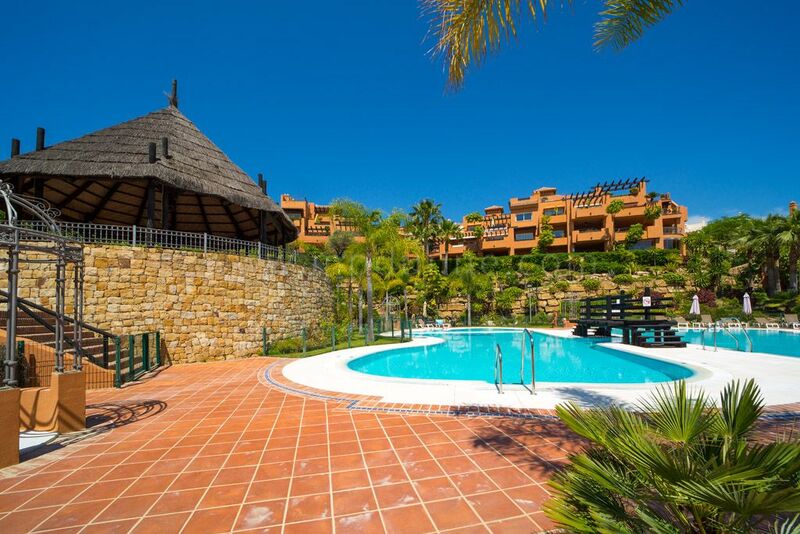 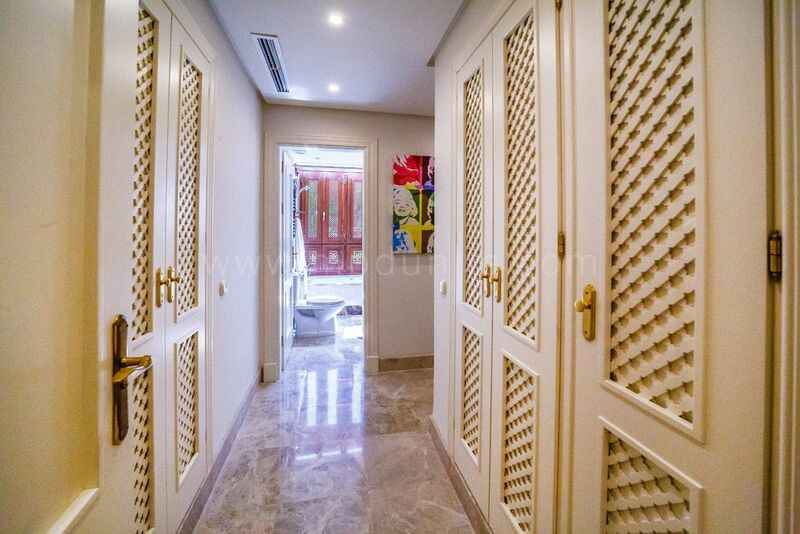 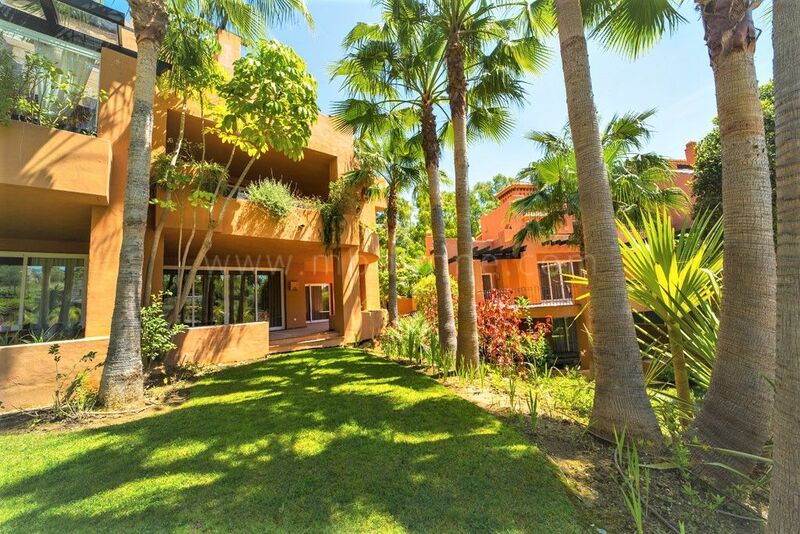 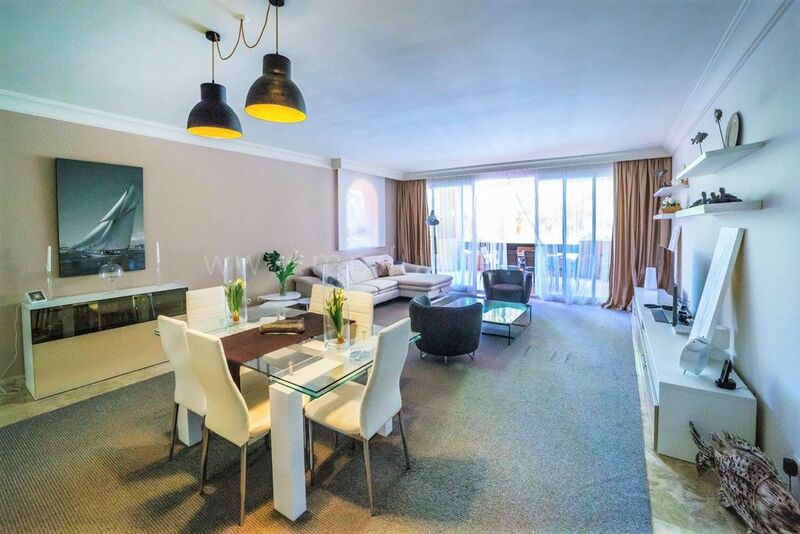 In the heart of Nueva Andalucía’s golf valley, you can rent or buy this 3-bedroom, 2-bathroom apartment in a secure gated area, located in La Cerquilla only a few minutes’ drive to the beach and the famous Puerto Banus with all the exclusive boutiques and restaurants. 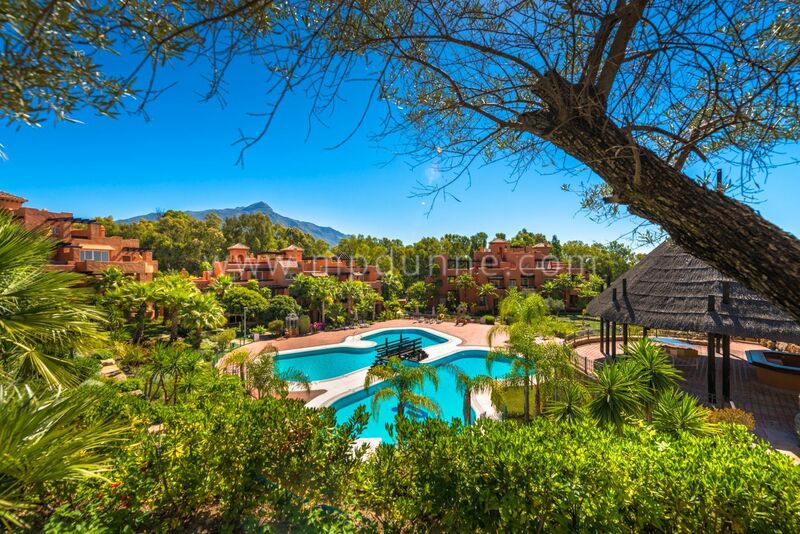 Marbella centre is just 10 minutes’ drive away. 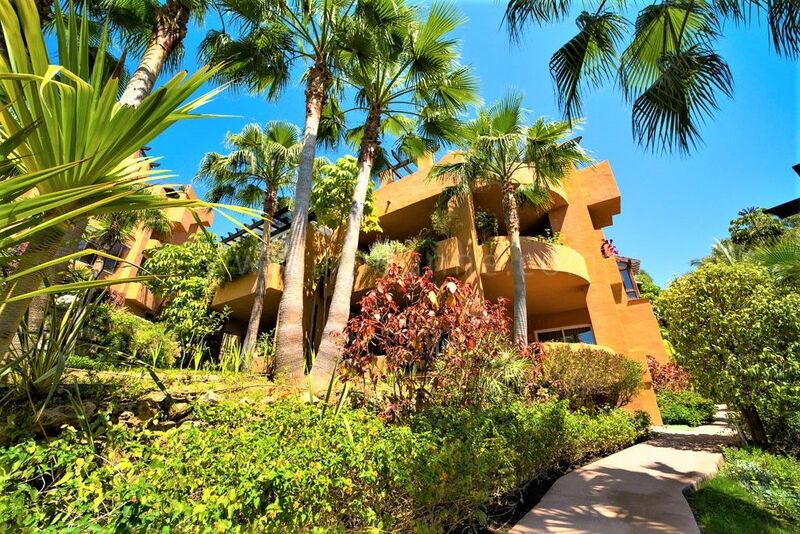 Here in the golf valley, you have several golf courses to improve your skills such as Las Brisas golf, Aloha, Los Naranjos Golf club, La Quinta golf. 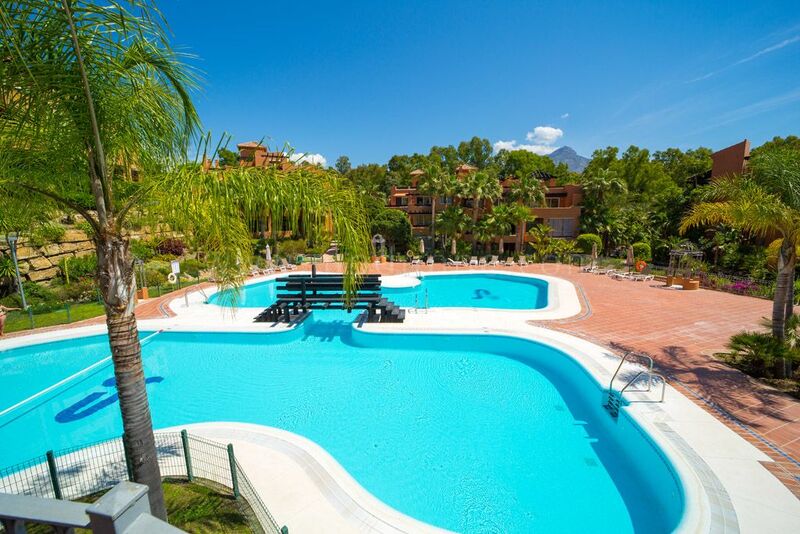 The community offers you large swimming pool in the tropical garden. 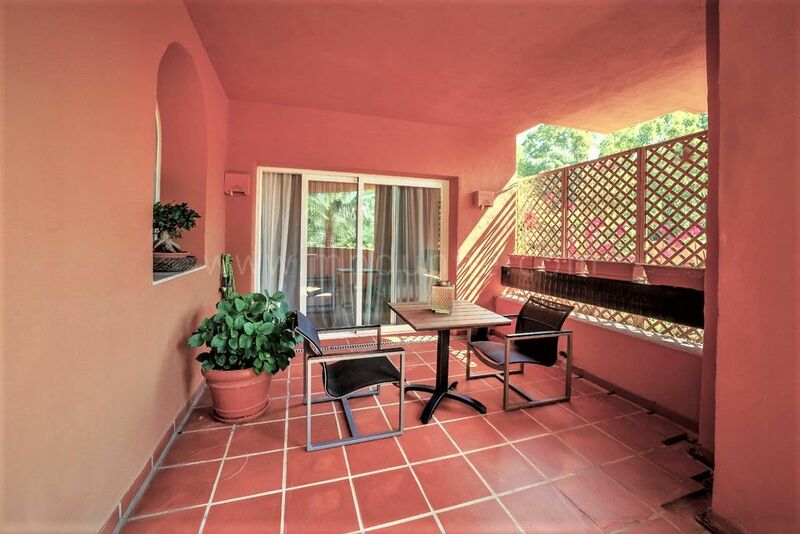 The apartment is a three bedroom south facing corner unit with two terraces. 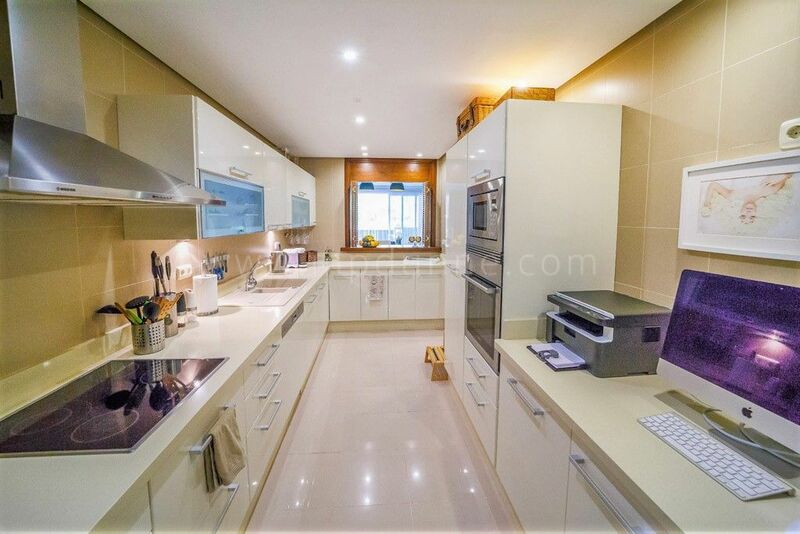 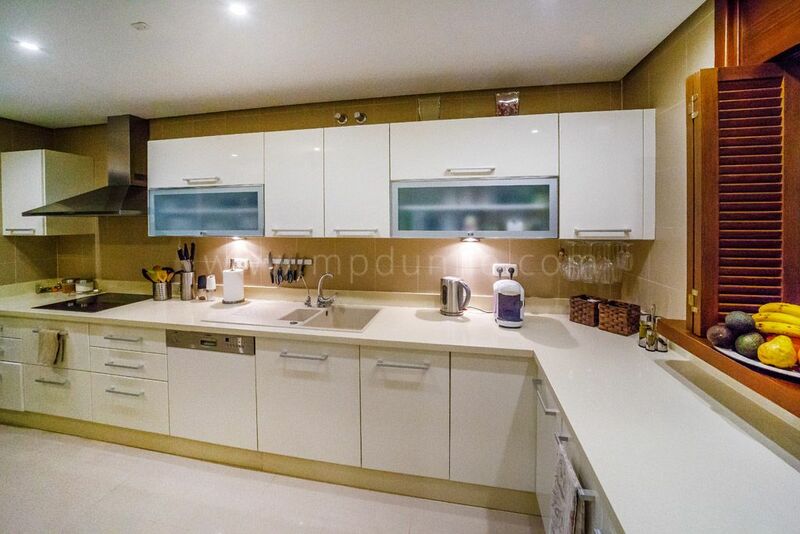 Fully fitted kitchen and a spacious Livingroom with direct access to one of the terraces. 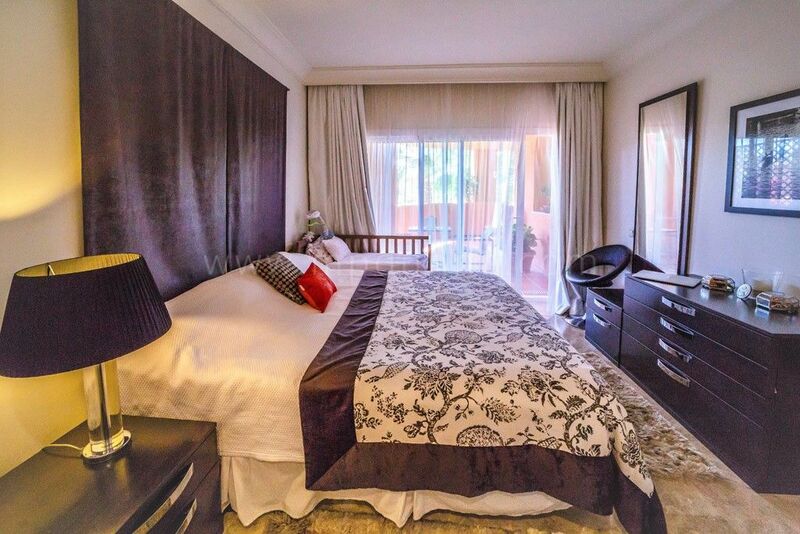 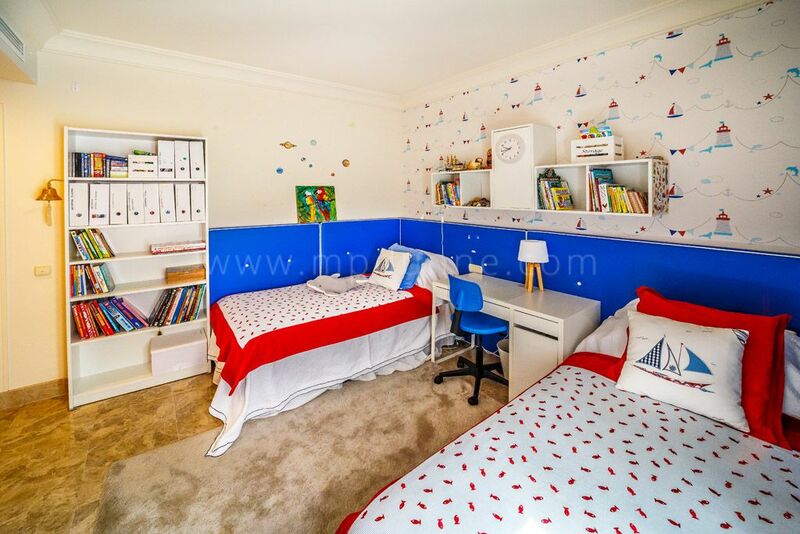 The master bedroom has an en-suite bathroom, and the other two bedrooms are sharing one bathroom. 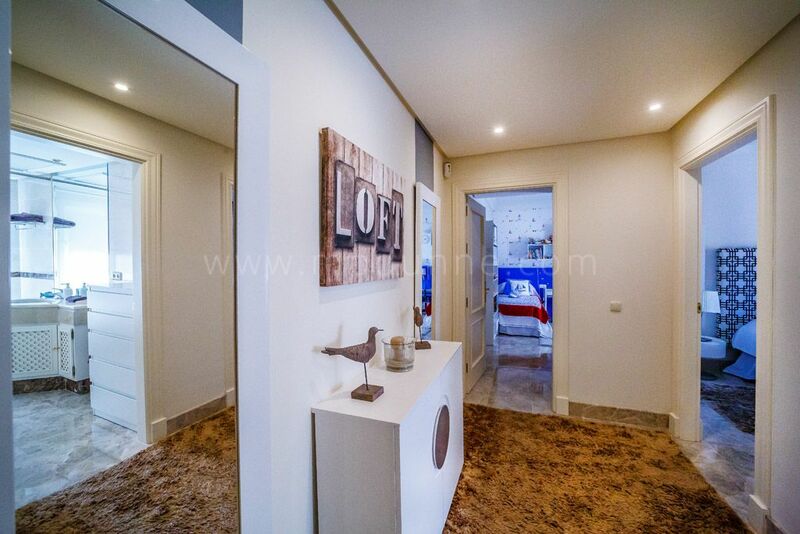 Garage space and storage of 22 m2 are included in the sales price. 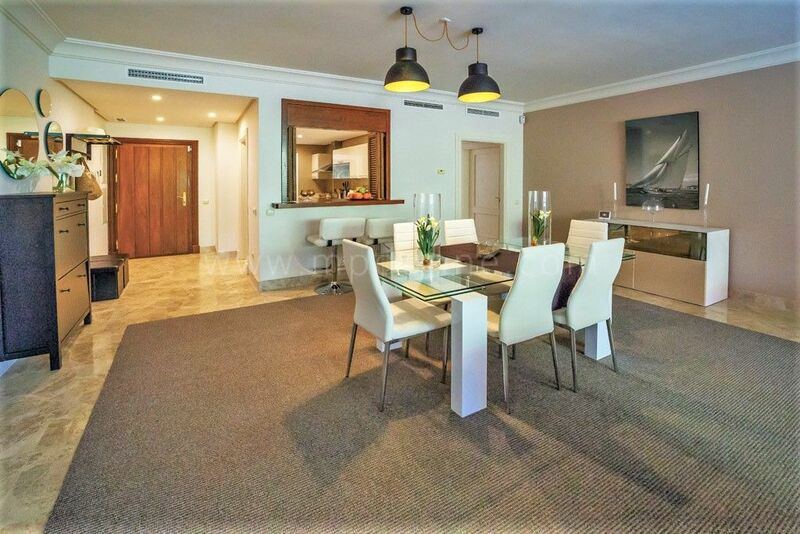 If you need a car during the rental period, the owner can arrange that for an extra fee.